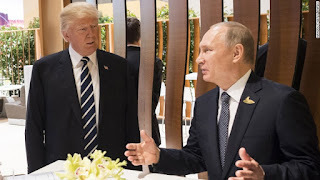 There's nothing wrong with Donald Trump having a second meeting with Russian President Vladimir Putin at the Group of Twenty summit, which was not disclosed until this week. There's noting wrong with Trump and Putin fraternizing over dinner at the summit, which is how the meeting happened. There's nothing wrong with Trump and Putin trying to establish some sort of rapprochement over raspberry sorbet or whatever the heck was served for dessert. 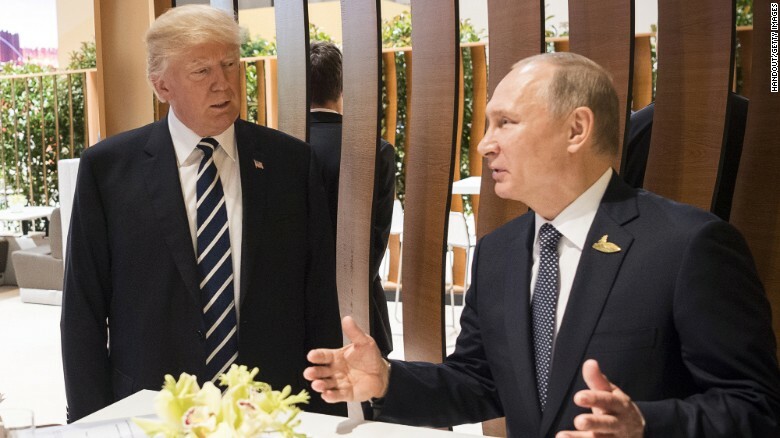 There's nothing wrong with Trump and Putin communicating only through Putin's interpreter. There is something wrong with the Russians compiling a complete account of what was discussed while no Americans are present no to take any notes. Rex Tillerson, where were you? This is the sort of sloppy diplomacy that could get These States in big trouble. Hence, the title of this blog entry.